AUGUST 3-5, experience not only the high-altitude regatta but attend the pre-Dillon Open One Design Seminar given by Reed Baldridge of North Sails. We're very lucky to have the opportunity to host a pre-Dillon Open One Design Seminar given by Reed Baldridge of North Sails. The training will consist of on-the-water coaching to learn sail trim tips, rig tune hints, boat handling guidance, ideal weight placement, and general race readiness. All skippers AND crew are welcome. Crew, please urge your skipper/boat owner to attend and LEARN. Knowledge is POWER on the race course. On-the-water begins at 2pm with off-the-water chalk talk at 4:15. Dillon Open festivities with burgers, registration packet pickup and beer immediately following. Three new Corsair trimaran models will be racing and on display. 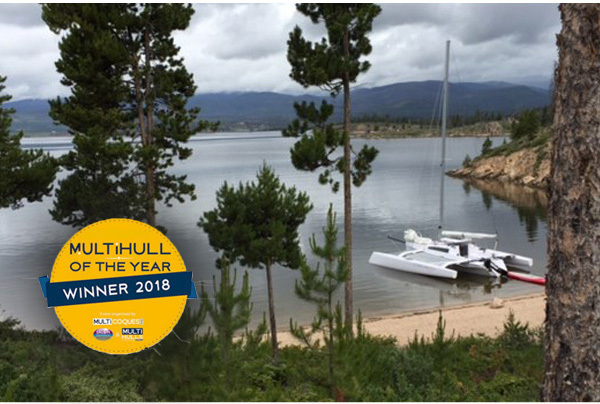 Come up and learn about these 2 award winning trimarans the Corsair 760 and the Pulse 600. 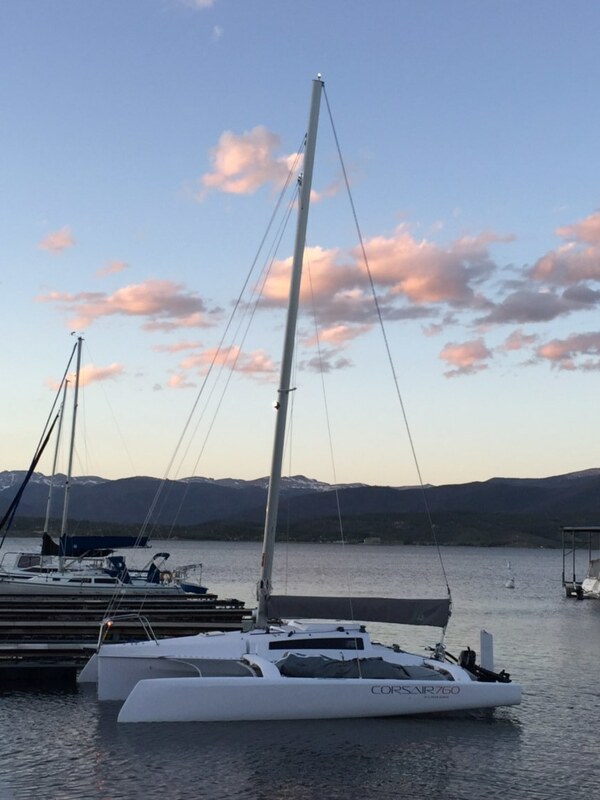 This exciting new 20′ trimaran is full of Corsair DNA modernized to meet the latest generation of sailors. On a product more compact and affordable than ever before, you can be part of the growing 180 Sail Community. Featuring lightweight carbon reinforced construction, this boat will get your pulse racing in even the lightest of winds. 180 Marine is the fastest growing Corsair & Seawind Dealer in the United States, owned and operated by Richard Allen and Leslie Gabriel, long-time Corsair Trimaran racers, day sailors and adventure cruisers. Lake Granby, Colorado / Richard Allen demonstrating the importance of downhaul trim using the cunningham control on the Corsair 760. These boats LOVE tension in the lower part of the sail to move the draft forward and reduce healing. It’s (nearly) a primary control on these boats. Ask us about downhaul rigging for your jib!